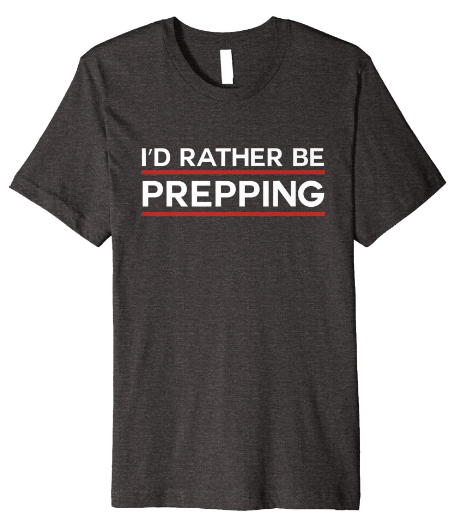 Are you going to be prepared during a crisis? To survive, you will need to be self-sufficient. 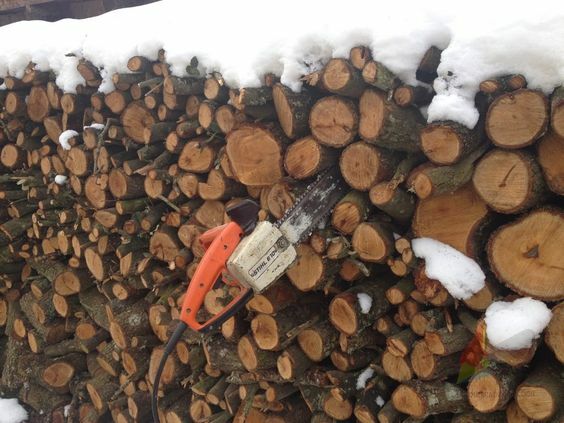 You may have to keep warm by using firewood or cook on wood for a year or longer. This takes a great deal of firewood and the most efficient way to cut large amounts of wood is with an electric chainsaw. Finding the best electric chainsaw on the market that will last a long time can be tedious. What makes an electric chainsaw the best? We delve into this question and explain what you should be looking for before purchasing any chainsaws. We’ve also included a handy list of the top electric chainsaws available today. Needless to say, don't try to bring a corded chainsaw into the woods. It's best to go with the lithium battery electric chainsaws if you're going into the woods. Although an electric chainsaw may not be able to tackle extremely hardwoods like a gas-powered chainsaw could, having an electric chainsaw in your survival kit gives you a smaller and typically lighter weight option. If you are faced with financial hardship, electric chainsaws typically are less expensive than gas-powered chainsaws and are perfect for first time users without the hassle of a gas tank. An electric chainsaw runs off the power supplied by your generator, so you don’t have to worry about running out of gas for the chainsaw or concern yourself with the use of fuel stabilizers from having to store fuel for a long period of time. You will want an electric chainsaw that is compact, quiet, and easy to carry. Electric chainsaws have virtually no maintenance because during a crisis fixing your chainsaw should be the last thing on your mind. The best electric chainsaws should be strong enough to cut through firewood, cut down small trees, and handle smaller projects around your homestead. The option of a cordless or ﻿﻿corded electric chainsaw is your own preference. The cordless variety allows you more room to move without the hindrance of a cord. Simply charge the battery for the allotted time before using. 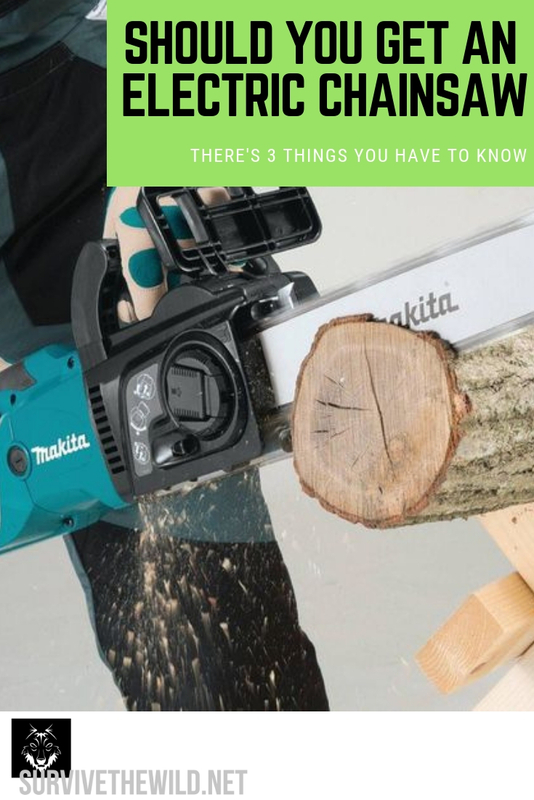 If the battery begins to lose charge after a short time, you may want to consider a corded version for uninterrupted projects and the ability to use the chainsaw without having to wait for a fully-charged battery. Look for an electric chainsaw with mostly metal parts for durability. Chainsaws with a combination of metal and plastic parts may be more affordable for your wallet, but electric chainsaws with mostly plastic parts may not last quite as long. This 16 inch 14.5 amp chainsaw features auto-tension, chain brake, and automatic oiling. It delivers a similar cutting performance seen in gasoline chainsaws with a low kickback bar. The UC3551A is an improved version of the now discontinued UC3550A series of electric chainsaws. This Makita chainsaw is durable and long-lasting and features a newer oil pump, metal gears, and tool-less saw chain adjuster. This compact electric chainsaw features a cord lock to prevent disconnection and a 14 inch bar with an eight amp motor. It arrives on your doorstep fully assembled and weighing a mere six pounds. Although the Remington RM1425 is lightweight, you can cut wood up to six inches in diameter and it is great for pruning and small tasks around the property. This basic and reliable electric chainsaw uses a push-button oiler. This corded electric chainsaw is a little more expensive than the Remington, but still costs less than other brands. It features a powerful 15 amp motor and an 18 inch Oregon bar with a low kickback. This 18 inch cordless chainsaw features a 2Ah Li-ion battery and charger to make charging an easy step when you are busy with a rapid 30 minute charge. You can also purchase the battery and charger separately. This electric chainsaw also has a wrap around handle for comfort and a chain break safety mechanism. The 80V motor allows you to get in as many as 150 cuts per fully charged battery and only weighs 10 pounds. * Consider purchasing two chainsaws. You may want a smaller chainsaw for little projects, yet will need a powerful chainsaw for cutting logs to be used as building materials. * Research the type of extension cord you will need for your particular electric chainsaw. The extension cord should be able to power the chainsaw without overheating the cord or plug. * Keep in mind who will be using the electric chainsaw. A lightweight electric chainsaw may be a better option for some family members. Comment below if you have any questions or recommend a specific electric chainsaw that you think is the best.